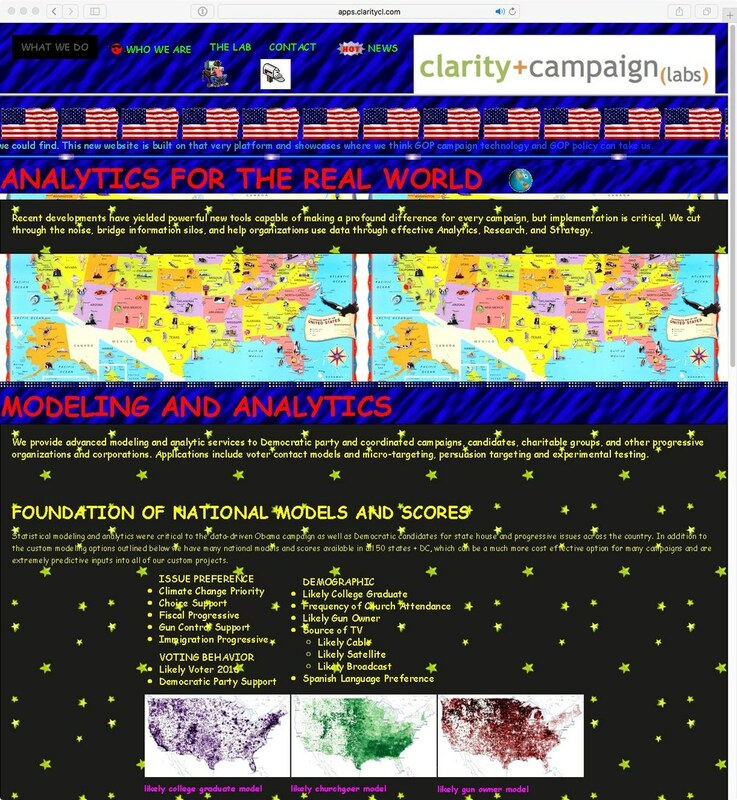 After the devastating electoral losses in 2014, we here at Clarity Campaigns realized that our advanced modeling, analytics, and strategic services were not right for the needs of today's campaigns and candidates whose heydays were in the 1980s. We made the hard decision to abandon everything we've built and adopt the most cutting edge GOP technology platform we could find. This new website is built on that very platform and showcases where we think GOP campaign technology and policy can take us.